This fit-out contract in O'Connell St. Waterford City was overseen by new Foreman Mark Burke and Contracts Manager Dan Casey. The project involved a shell and core fit-out from bare walls to completed teaching facility in 12 weeks. The fit-out started out in May and was completed per the original programme on the 17th of August 2018. Great credit must go to the TOBCON back room staff who pulled out all the stops with suppliers and specialists to ensure target dates were met. This marks another successful project delivered to Brian Cooke and his team at RKD Architects by us here at Tom O'Brien Construction. Clients can rest easy knowing that with TOBCON on board your project delivery dates are assured. 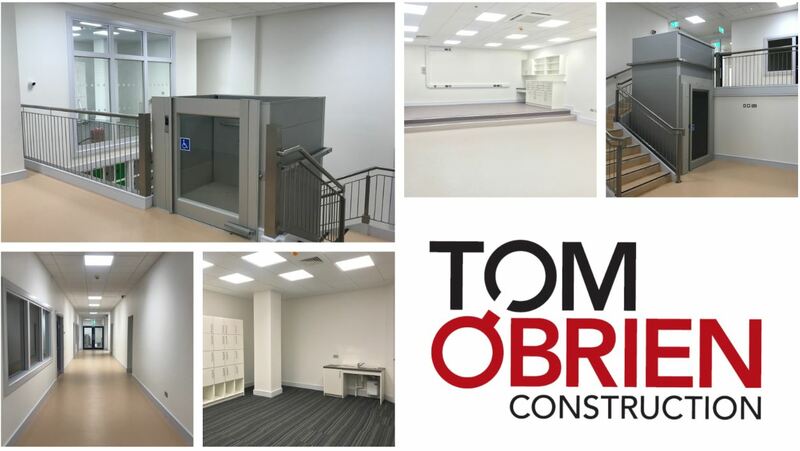 "It was an absolute pleasure dealing with each one of the Tom O'Brien team and great credit is due to Dan and Mark for their efficiency and commitment in getting the project over the line in such a timely and co-ordinated manner." Client, O'Connell St.